We Are Giving Three Lucky Fans The Chance To Win! The most important aspect of design is how a room makes you FEEL … and the scent of a room plays a huge role in this. Scent can inspire creativity, elevate everyday moments and create daily luxuries… even when you’re knee deep in floorplans, budgets and timelines! We’ve always loved fragrance in our homes (and office) but we’ve found out the hard way that not all candles are created equal! We love ECOYA candles because they look great and are made from natural soy wax, which has a cleaner burn. They also have a cooler burn temperature, so they last longer #winning. 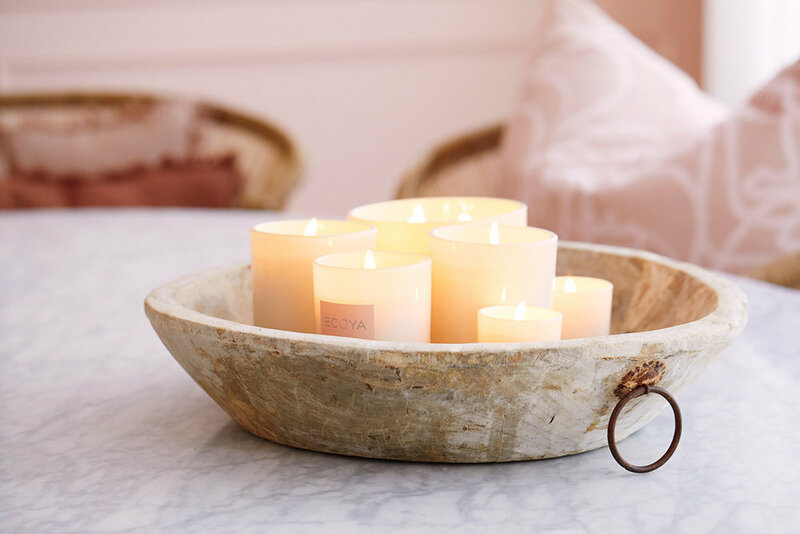 (1) Tell us in 25 words or less the 3 places in your home that you will use your ECOYA candles to create a mood. (2) Follow both Three Birds Renovations and ECOYA on Instagram AND/OR Facebook - click on the names below to be taken directly to the profiles. + Prize valued at $500.00 RRP + Delivery. 1 x Cedarwood & Leather Mini Madison Jar. + Entry is open to Australian residents only. You can enter as many times as you like #themorethemerrier. + The winning entries will be chosen at the discretion of Three Birds Renovations. All criteria must be met, this is a game of skill. + Competition opens March 21st and closes March 31st at midnight AEDST. Winner announced on our website on or before April 8th and contacted via email.